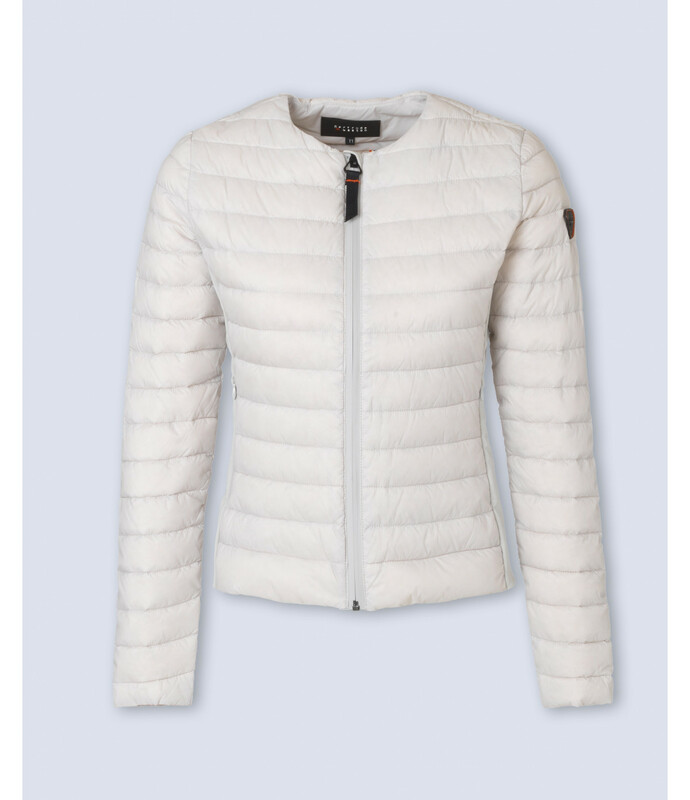 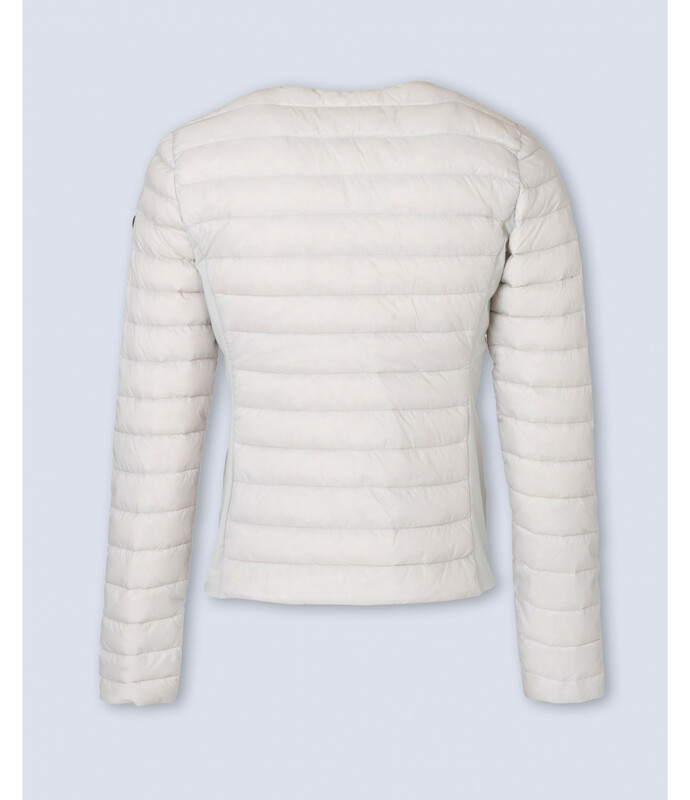 Made from Japanese nylon and quilted with white duck down for warmth and insulation, the Rosita model is a Gertrude + Gaston basic. Light, sporty and daring with its own travel-bag and invisible zip side pockets, Rosita is still very feminine. Its princess cut highlights the shape and its Softshell side inlay perfectly matches your movements. 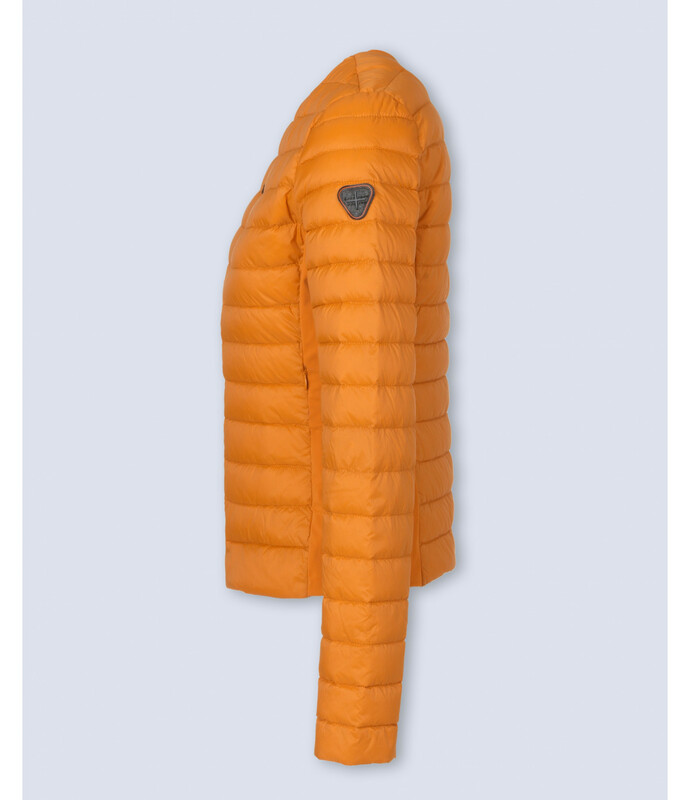 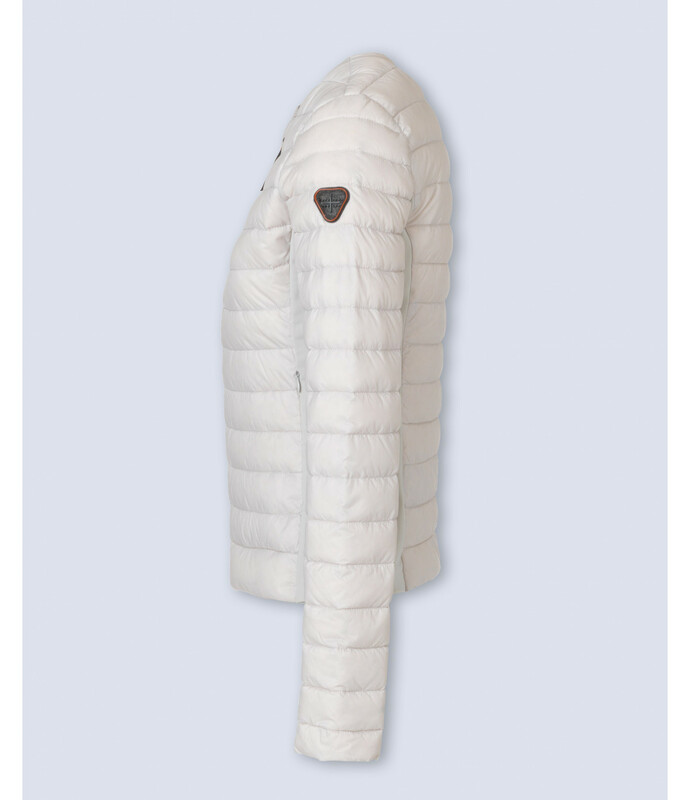 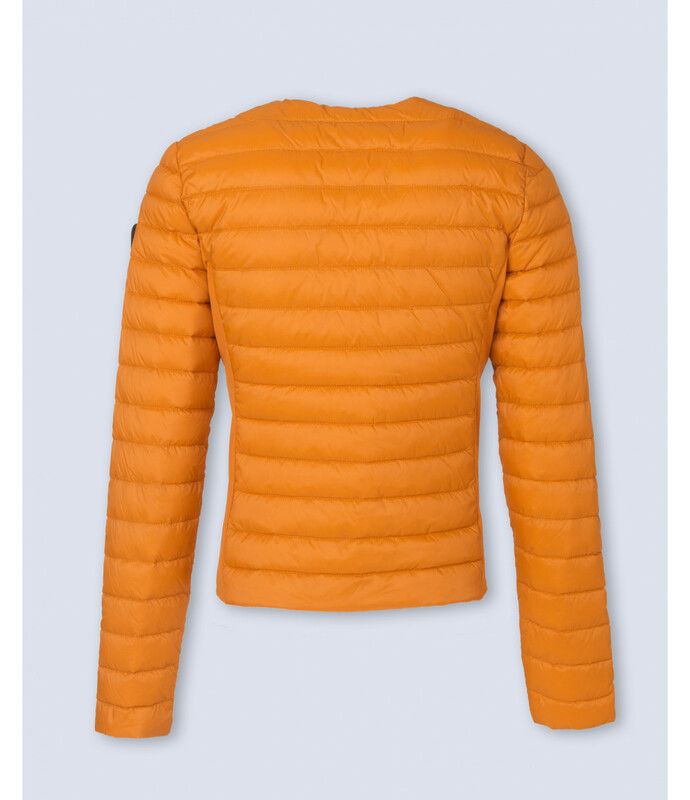 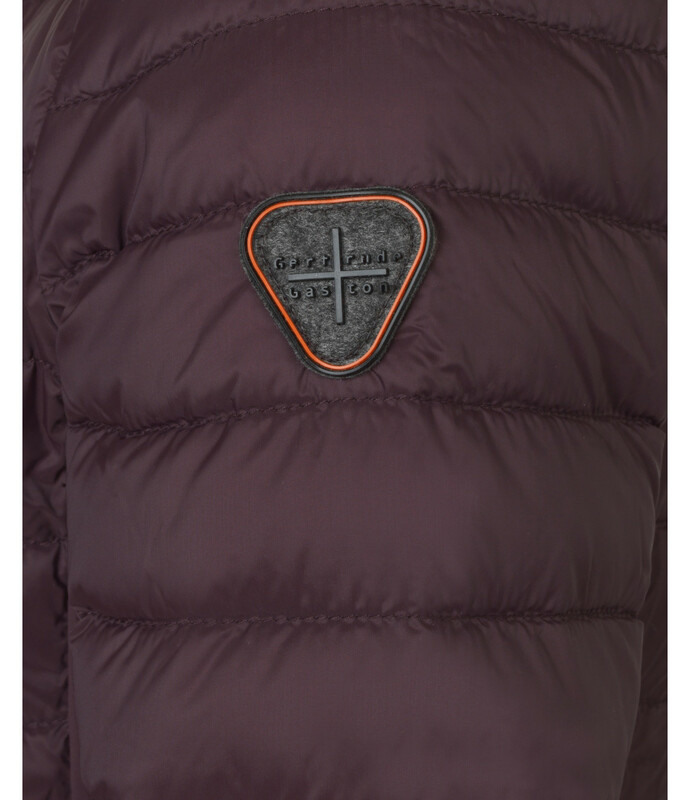 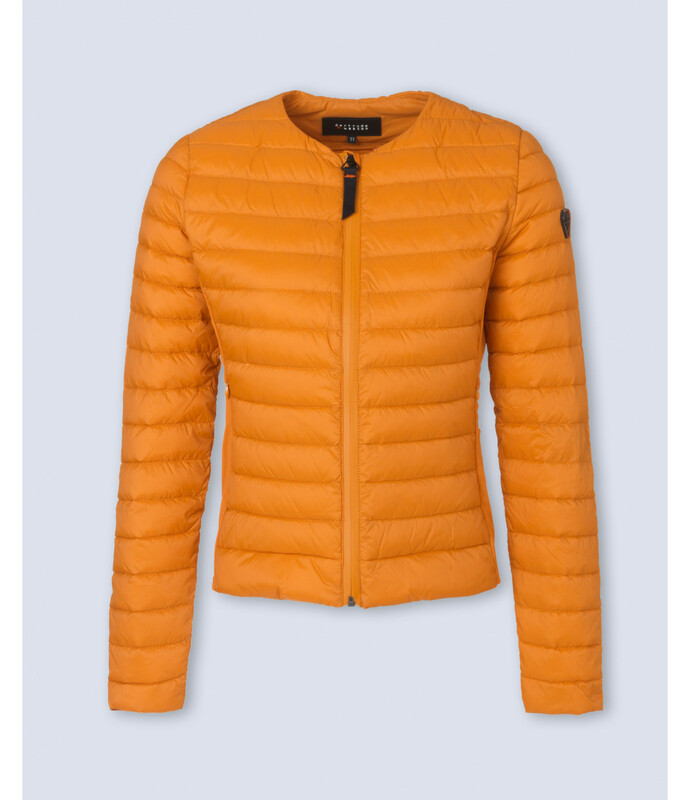 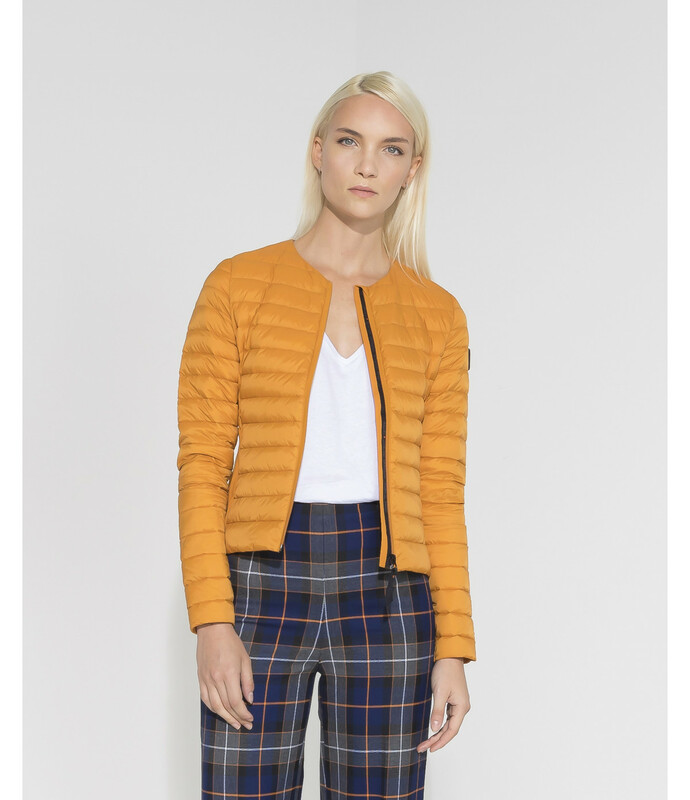 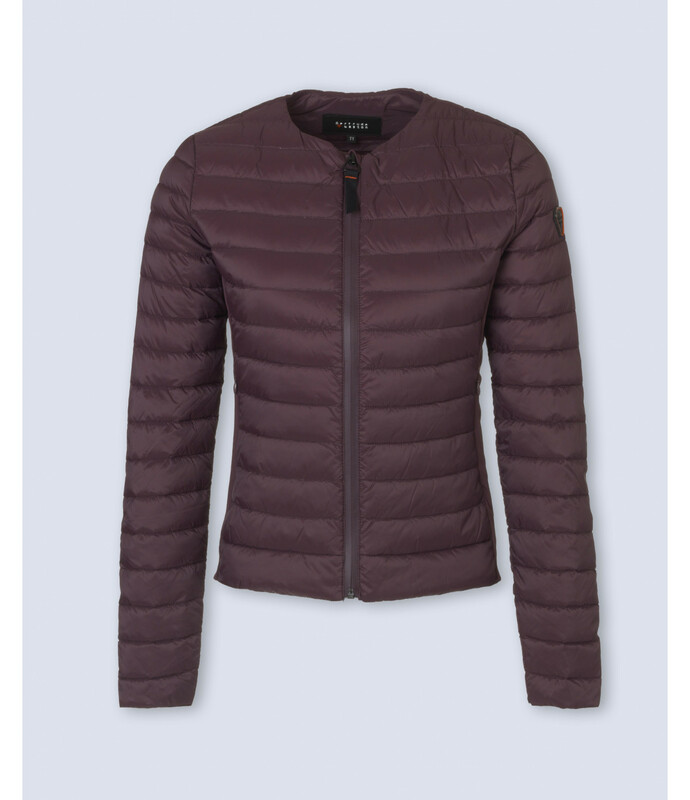 Light, fitted down jacket. 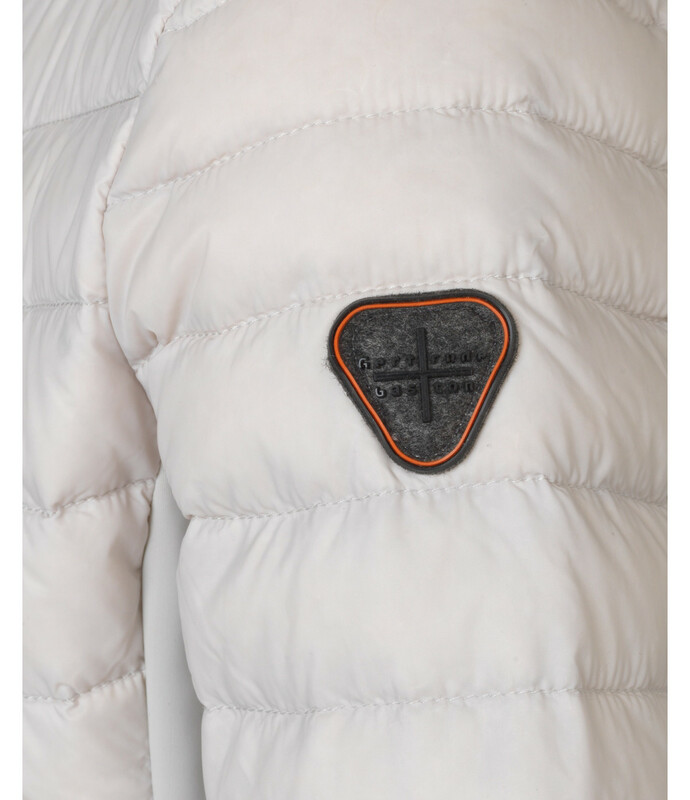 Straight armholes. The ROSITA model measures 56cm on the front and 52cm on the back, (measures are taken from the top to the bottom of jacket), sleeve length is 62,5cm, in size 0. 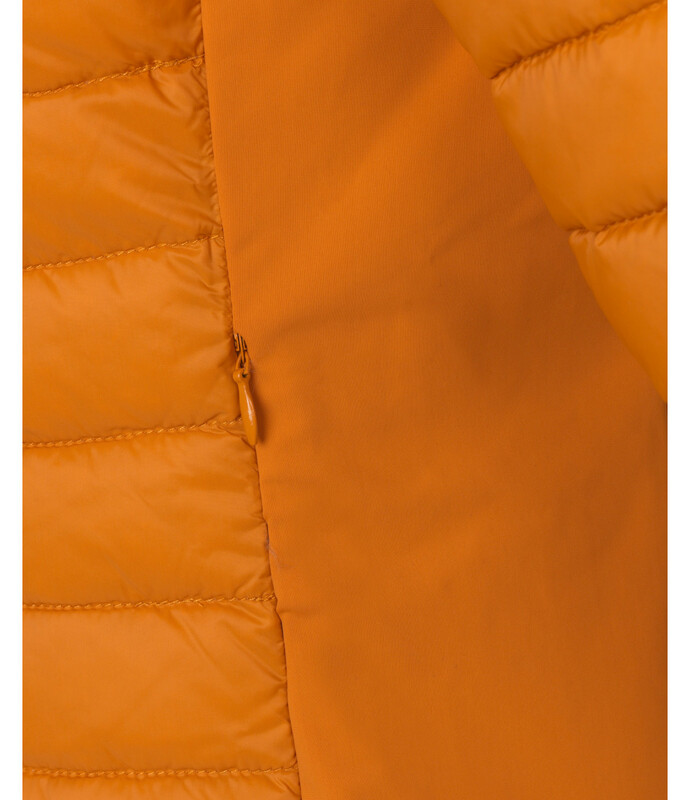 Add 2 cm for each additional size.